We couldn't believe it when we saw it either. Here's a photo of four people being rescued by a backhoe, riding in the loader of the tractor. And they actually look pretty excited! Well, except for the person on the right.Surely, someone remembers their mom or dad being pulled to safety on the loader of a backhoe. Who are these people? 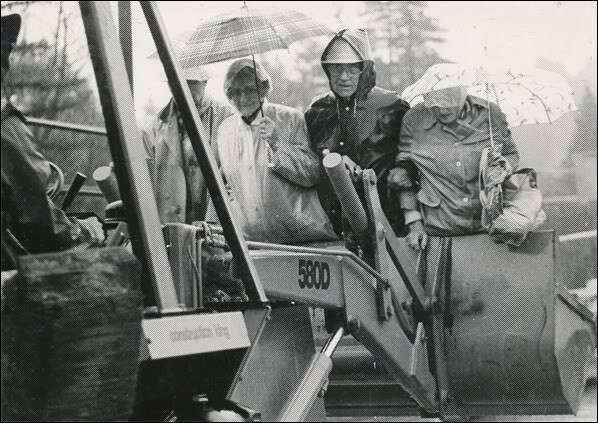 Where were they being rescued from that they needed a tractor to pull them to safety?Let us know in the comments below.The Guerneville Flood Project is a week-long dive into the photo archives of the North Bay Bohemian. Read about the project here, and view more 1986 Guerneville Flood photos by clicking here.